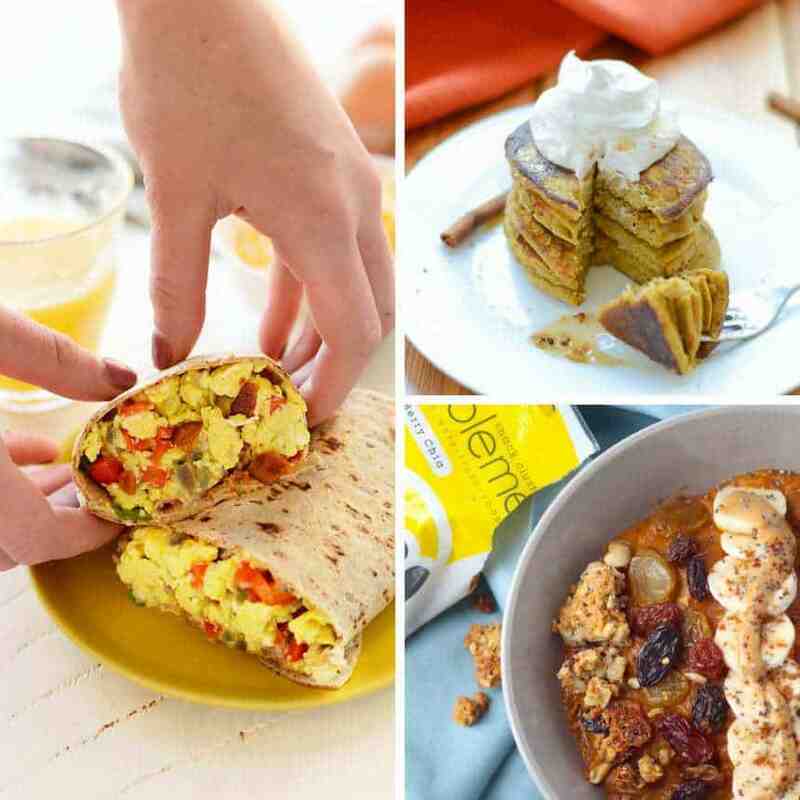 These meal prep breakfast ideas are deliciously healthy and super easy to make. Then each morning all you have to do is grab and eat! 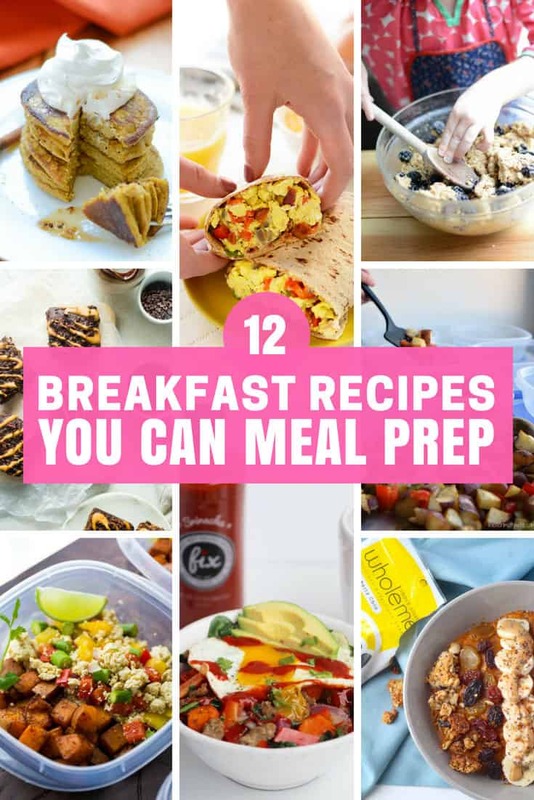 If you struggle to eat a healthy breakfast in the morning because you’re always too busy rushing around trying to leave the house on time these meal prep breakfast ideas will be your new BFF. 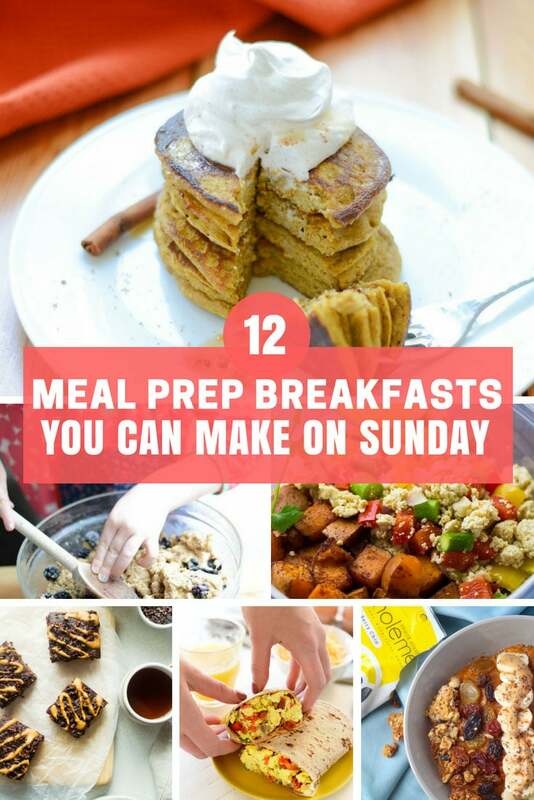 Prep them on a Sunday so all you have to do is grab and eat! Who says you can only eat pumpkin spice in the Fall? Seriously, these pancakes are so yummy you will be more than happy to meal prep them all year round! 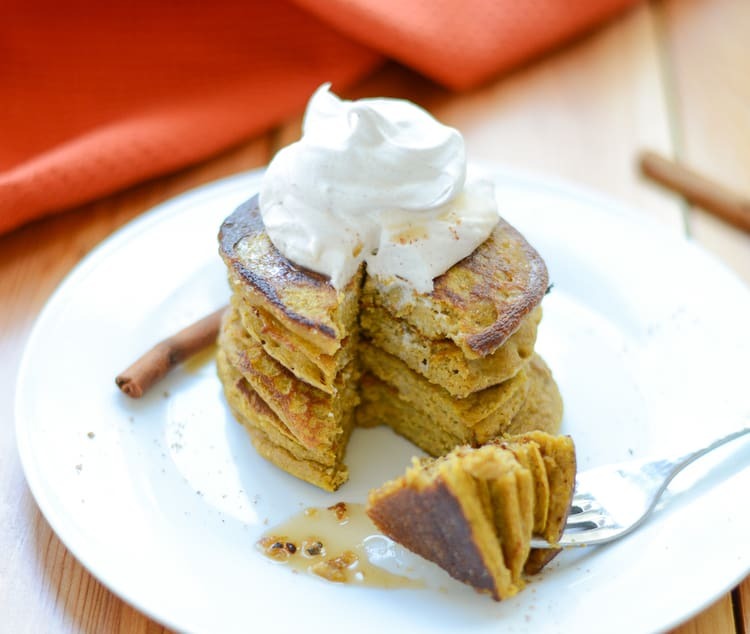 You can easily get pumpkin puree any time of year right here. 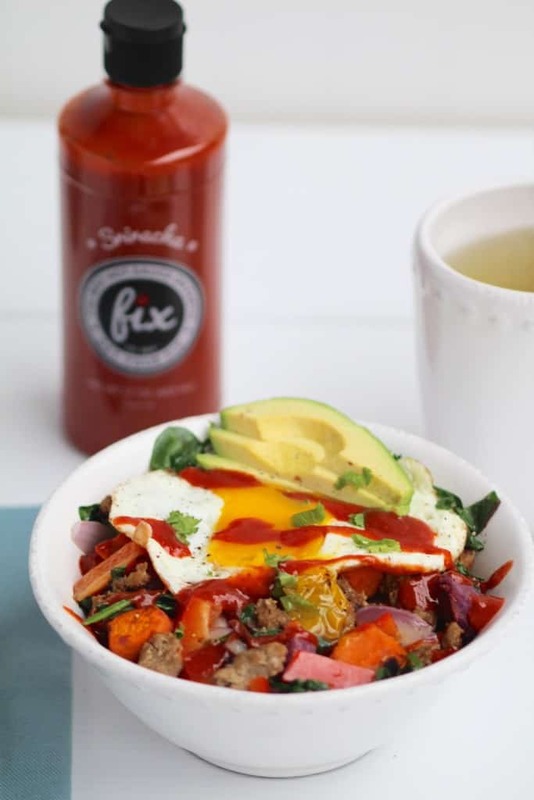 The key to a great meal prepping recipe is flexibility, which is why we LOVE this savoury breakfast bowl that can also be turned into a wholesome egg bake using the exact same ingredients! 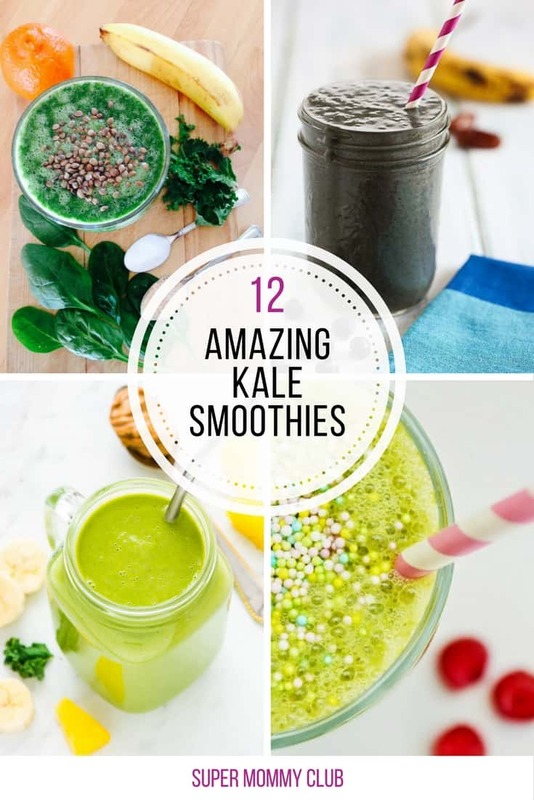 Smoothies are a great option for breakfast on the run especially when you use a portable smoothie blender! 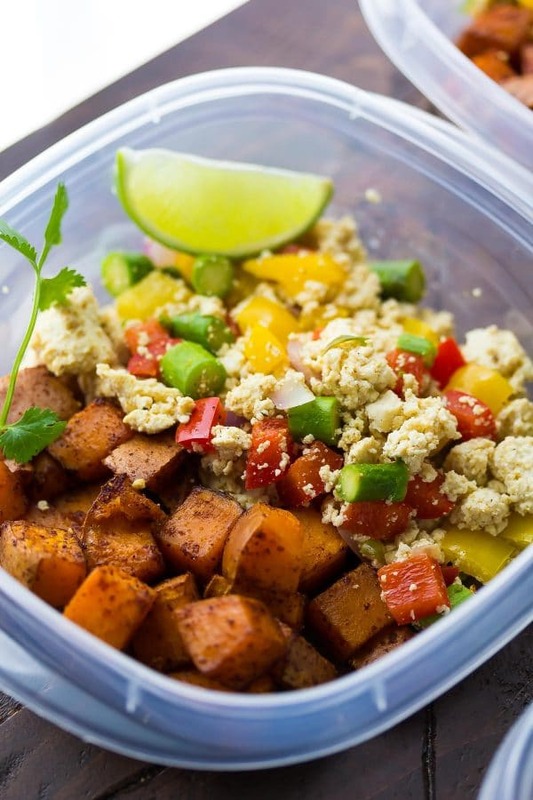 Prep your ingredients into baggies on meal prep day and then throw the ingredients in your bender and you’re out the door with breakfast to go! 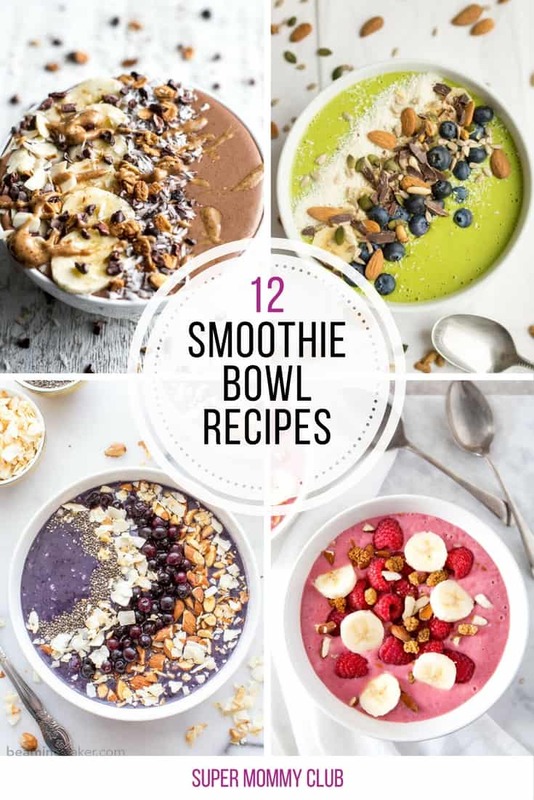 If you have time to eat breakfast at home then grab those pre-prepped smoothie ingredients and indulge in a crunchy topped smoothie bowl instead. If your family enjoys a warm savoury breakfast to get the best start to the day then this roasted potato “cabin breakfast” is the perfect choice for you. 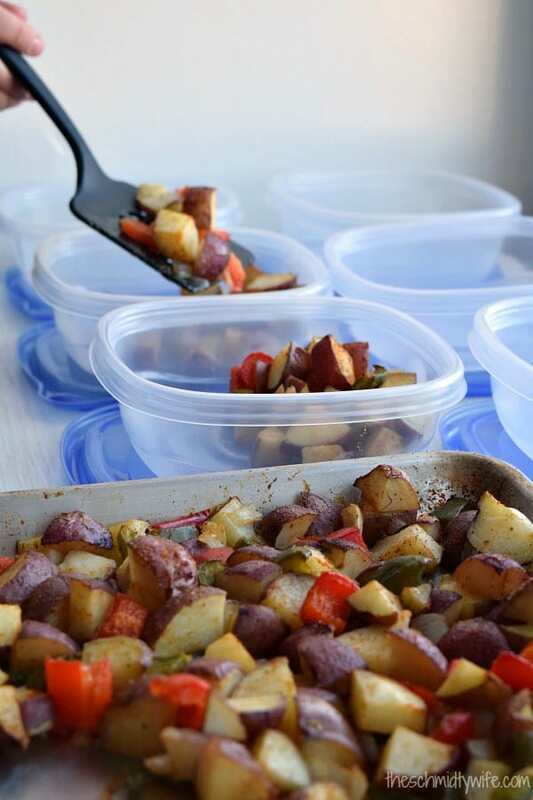 Make it ahead of time, portion into your favourite containers and then just reheat and eat when you’re ready. If your kids always complain that breakfast is boring you’ll pretty much knock their socks off with these little beauties. 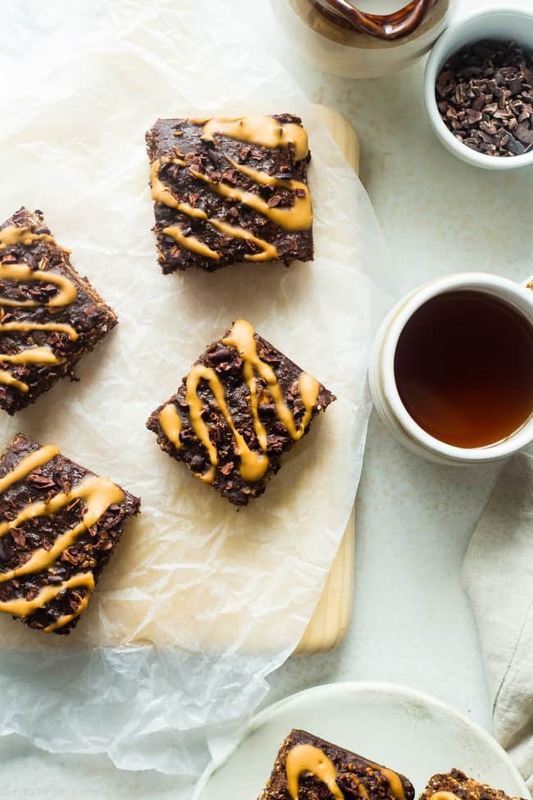 Rich, filling and totally decadent, and they don’t have to know that they’re totally healthy! If you need some cacao nibs you can find some here. 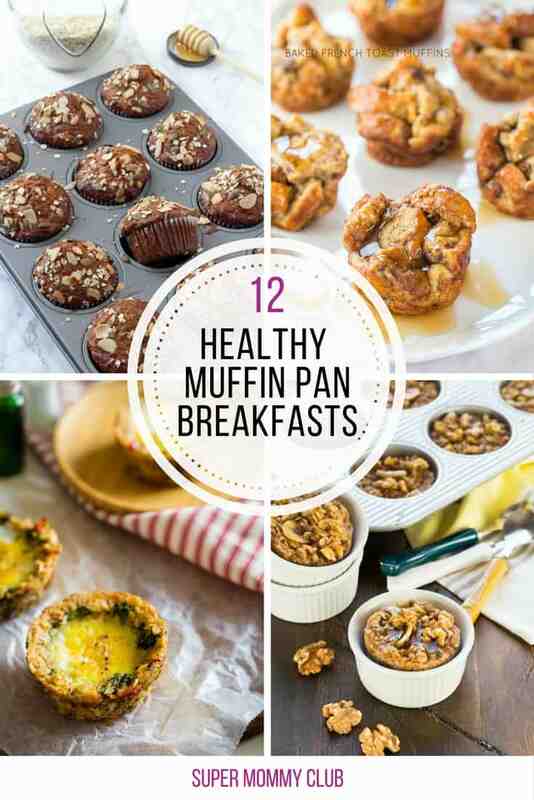 Muffin tin breakfasts are the ultimate “portable” option for breakfast on the run! 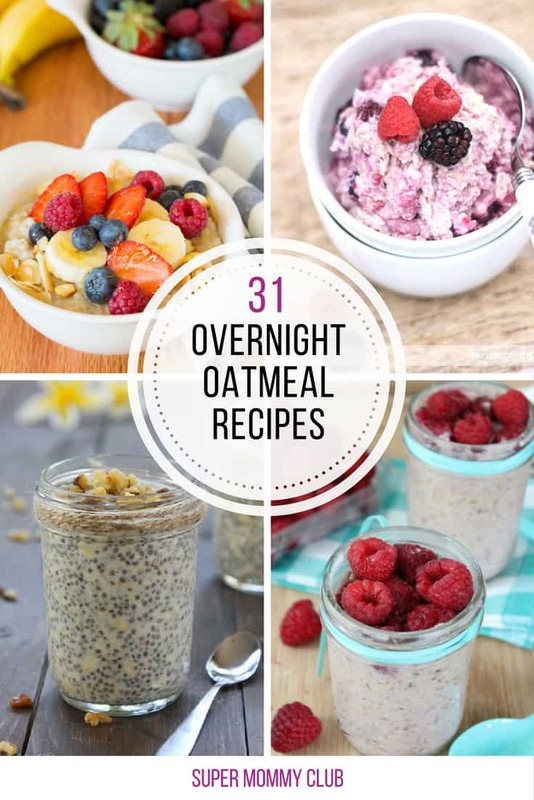 Overnight oatmeal + wide mouthed mason jars = meal prepping breakfast delights! Seriously they are the quickest and easiest breakfast to eat since you just grab a jar and a spoon and munch away! 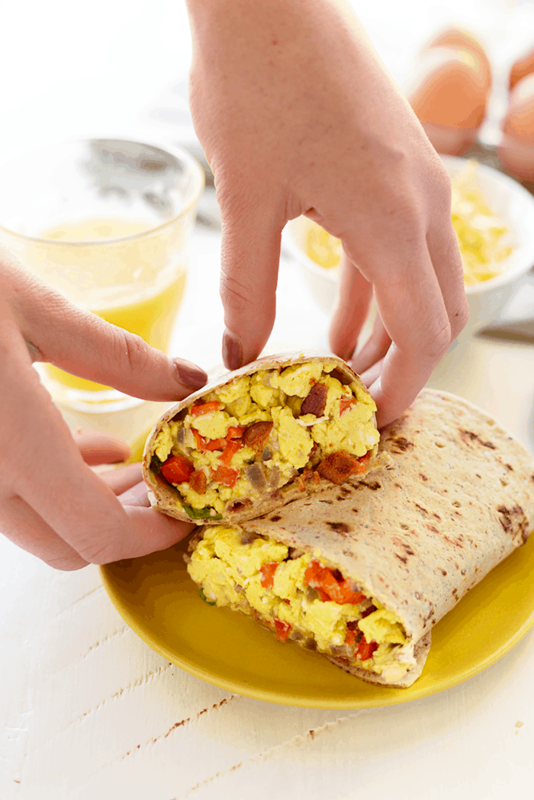 For a truly filling and protein packed make ahead breakfast you have to try these freezer friendly breakfast burritos. What child would ever say no to cookies for breakfast? 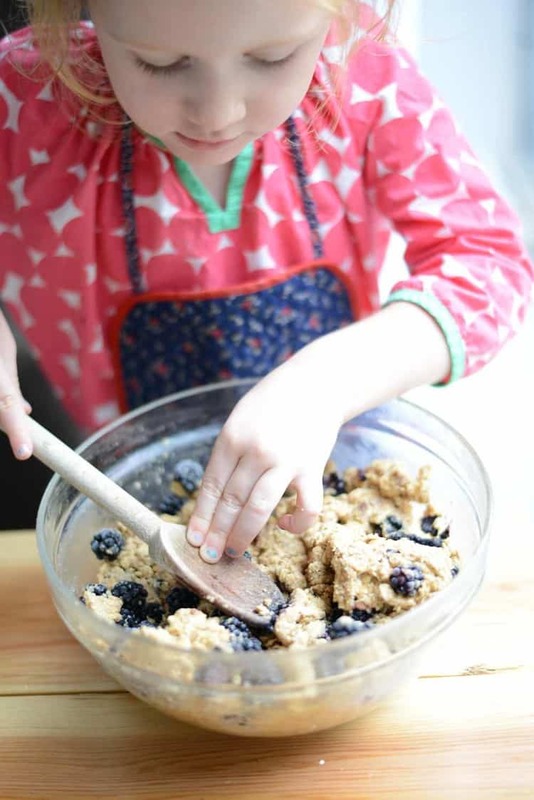 These make ahead cookies are totally kid friendly and you don’t have to worry because they’re gluten-free, dairy-free, nut-free and refined-sugar-free! You can easily get gluten free oat flour here. 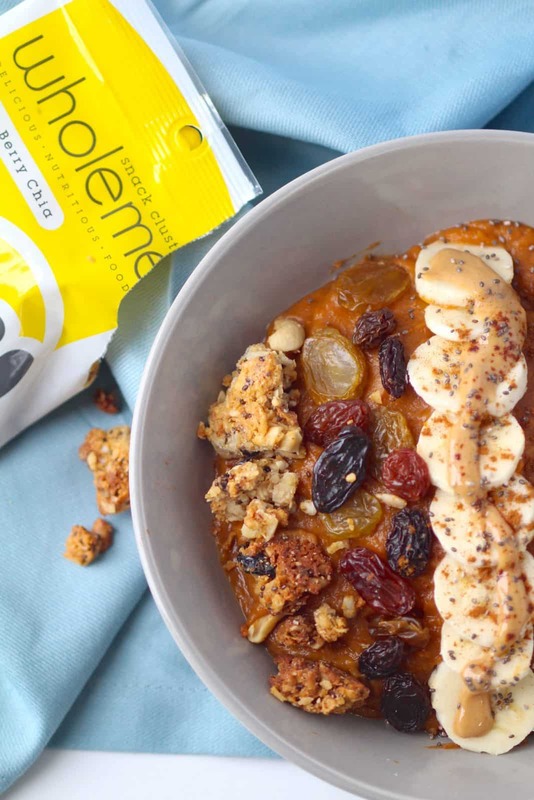 We can’t get enough of breakfast bowls around here and if you’ve been searching for a recipe to help you fall in love with tofu then this is it! If you usually reserve sweet potato for lunch or dinner its time to put it to the test in a breakfast bowl! This savoury recipe is a great alternative to oatmeal and is gluten-free and grain-free as well as Paleo and Whole 30 friendly!